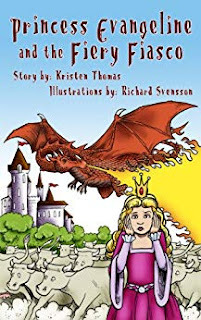 Princess Evangeline meets a dragon who is terrorizing her kingdom by setting fire to carts of hay and eating cows in this fairy tale. What do you do when a rogue dragon is flying over your kingdom setting fire to everything . Well Princess Evangeline will go and figure it out . 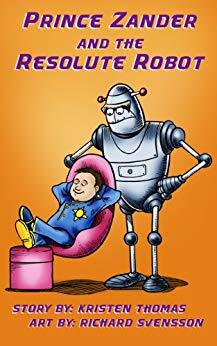 I read this book to my 2 year old grand niece and she loved it . 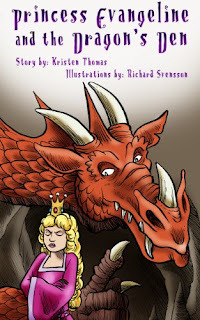 It is a short sweet story that has the main character striking out on an adventure to help out the dragon . I wont spoil it for you but it is really sweet . The characters are sweet and you will love them. The illustrations are spot on and depict the story very well . Your children will love this bed time story and ask for it over and over again. So check it out . Its sweet and easy to read . Meet Princess Evangeline, a good princess with a bad attitude. At their wit's end, her parents send her away to visit someone they hope will be able to help. When Princess Evangeline starts to have some bad attitude and starting to act like a spoiled brat . Her parents are at their wits ends . They decide to send her to someone who will be able to help her . This story actually has a great message about what to do when your child is being a brat and the consequences of ones actions . My niece really liked the way that Evangeline changed at the end of the book . Not really knowing if a two year old understood about politeness but she did love the dragon and the story of Evangeline changing from bad to good . This would be a great story for kids today to learn some politeness and good manners . The illustration's again are spot on for the story , The story is simple enough that kids will get it . Prince Zander doesn't want to do anything but play all day long. He refuses to help and the space castle is a mess. What will happen when the robot breaks down and can't do everything? Let me introduce you to Prince Zander . All he wants to do is play all day long and not clean up after himself . The space castle is a mess and his robot is broken . What is a prince to do . This is a book about helping out and cleaning up after yourself . If you want something sometimes you can do it yourself. There are good lessons in this book about keeping your play area tidy and also thanking the people that do help you out and do clean up and cook for you .